Diva Says What: Duggar Spotting? 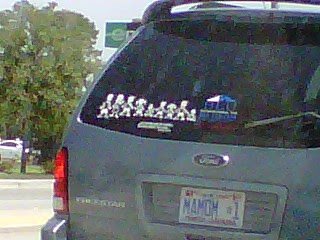 Ok, I'm pretty sure this car belongs to the Duggars. That's like 80 kids.